Amine Beyhom will present his new book on Byzantine chant (and animating a seminar On priests and modes. Or how the author finally got to understand Byzantine chant theory and praxis) in the Orient Institut Beirut on the 16th of February 2016 (from 6:00 to 8:00 p.m. – please see details on http://www.orient-institut.org/index.php?id=12 – pick “16th February”; contact, address and map available at http://www.orient-institut.org/index.php?id=58). Mīkhāʾīl Mashāqa (1800-1888) was the first known modern theoretician of music to explain in written form the 24-quartertones system that was to become a standard in most Arabian countries. The lecture will reflect briefly how the personal development of this historian was closely bound with the history of the Middle East in the 19th century before shedding light on his musicological writings which, unlike other theories of Arabian music, compare the latter with the theories of Byzantine chant, namely the system of Chrysanthos of Madytos (1770-1846), who was the leader of the first “modern” reform of the Byzantine orthodox chant. This characteristic of Mashāqa’s treatise on music led the speaker to a thorough research on the two Patriarchal reforms of the 19th century. It will be therefore shown how the theory of Chrysanthos is related to other Eastern theories like the Indian śruti system or the maqāmāt of Shihāb al-Dīn al-Ḥijāzī. 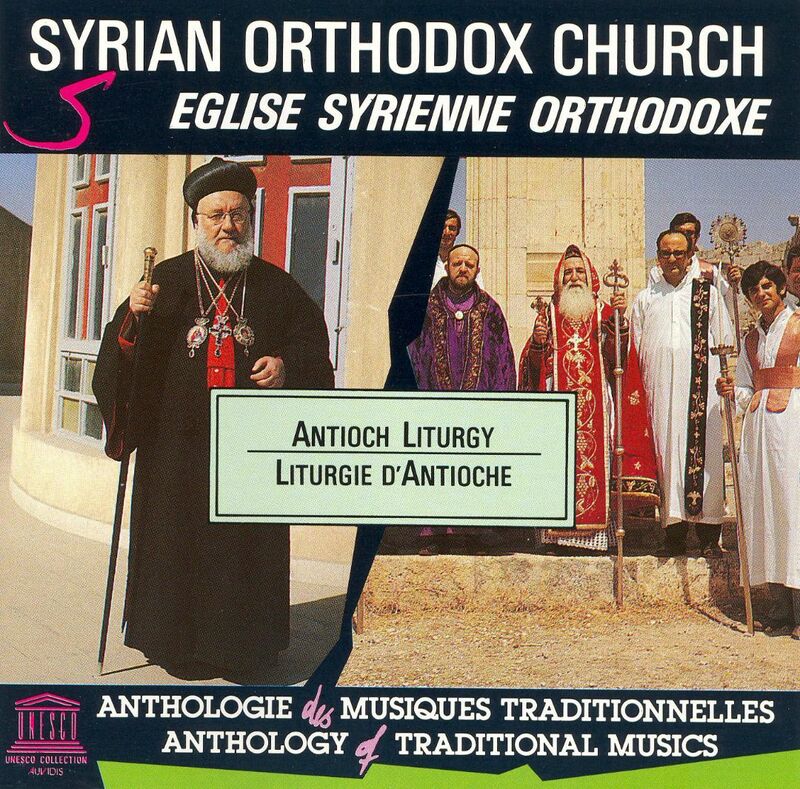 At the same time, this reading will be contrasted to Western musicological theorieson Eastern chant and their focus on Hellenistic rereading of Ancient Greek theories which, apart from trying to reduce Byzantine chant to a by-product of Western music, became the main tool of Orientalist studies on the music of the Middle East. 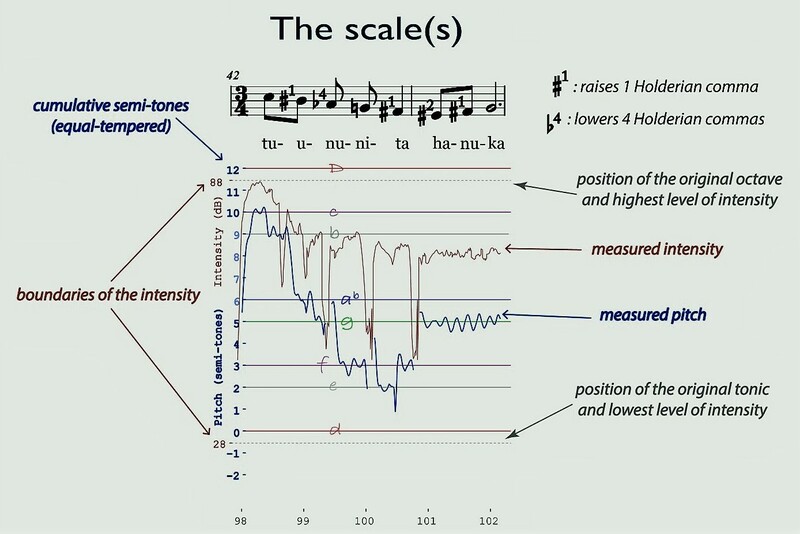 The presentation includes audio excerpts/analyses and liveʿūd examples. 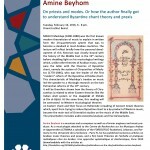 This seminar / presentation, based on Amine Beyhom’s new book on Théories byzantines de l᾽échelle et pratiques du chant byzantin arabe, published 2015 (see: http://foredofico.org/CERMAA/archives/584) and co-organized with the Centre de Recherches sur les Musiques Arabes et Apparentées, is placed under the Auspices of the Ministry of Culture in Lebanon.